In the Sahel drylands of West Africa, migratory cattle herding is still a major way of life. 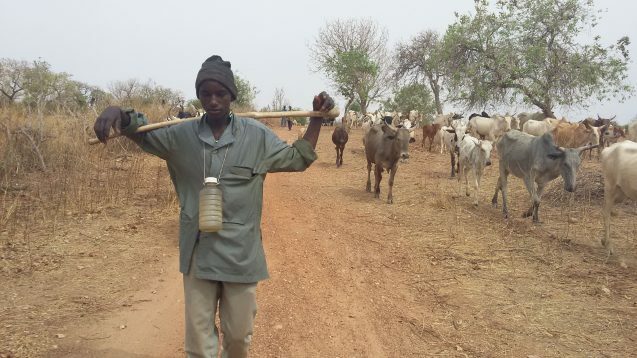 For centuries, the region’s indigenous Fulani communities have followed informal seasonal migratory routes between arid zones, river valleys and wetlands to keep herds fattened on fresh pasture. 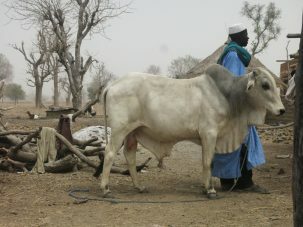 In Burkina Faso, livestock are an important part of the economy, and migratory herding is a more resilient means of raising cattle, adapted to the local environment. But Burkina Faso’s Fulani (also known as Fulβe) migratory herders are in crisis. Agriculture increasingly disrupts their traditional migratory routes, as increasing food needs and declining soil fertility have pushed farmers to expand their fields. When herders’ cattle trample farmers’ crops, violent conflict often results. Climate change is also reducing the reliability of traditional seasonal signals from local birds, trees and weather that herders have passed down through the generations to drive migration decisions. 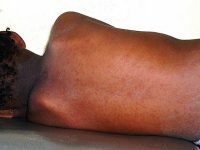 These challenges could put the food security and livelihoods of the Fulani people at risk. So far, attempts to help the herders via policy-making, climate forecasts and climate warning systems have largely failed. That’s because knowledge of herders’ migratory routes and decision-making was poorly understood. People on the move across remote landscapes are difficult to track, and mobile ways of life have long been seen as ‘backward’ and detrimental to the environment, so that herders are widely blamed for their own predicament. A research project currently under way aims to fill in these gaps and promote knowledge- sharing between the Fulani and climate scientists. The project is led by UNESCO’s “Knowing our Changing Climate in Africa” project under the Climate Frontlines program. 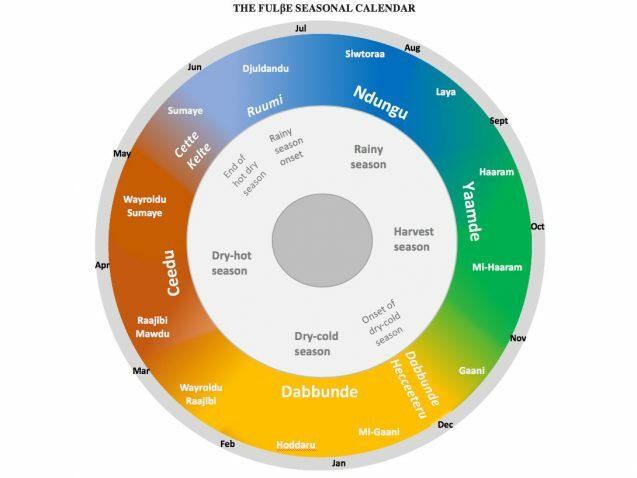 In collaboration with Fulani leaders, anthropologist Elisabeth Ilboudo-Nébié from Columbia University’s International Research Institute for Climate and Society has developed detailed visual maps of migratory routes and a calendar that translates Fulani seasons into the language of Gregorian months and Western seasons. In addition, Ilboudo-Nébié and colleagues have worked with the Fulani northern Burkina Faso to catalogue the signals herders collect from the environment to guide migratory patterns. 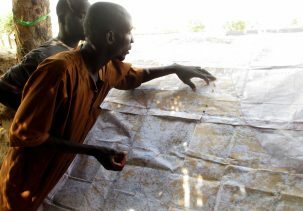 In conducting this research, Ilboudo-Nébié is collaborating with anthropologist Carla Roncoli from Emory University and Al Hadji Hanafi Dicko, a Fulani pastoralist leader, who have worked together to document Fulani migratory patterns for the last 20 years. The project’s data comes from a series of participatory mapping exercises, during which local herders trace their migration itineraries on high resolution maps using colored pins and markers, and discuss how they make decisions about when and where to travel. 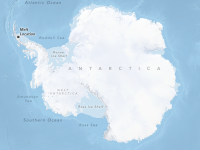 “Not all scientists are open for dialogue with communities that are not formally educated and whose knowledge is viewed as ‘myths,’ anecdotal and unverifiable,” says Ilboudo-Nébié. 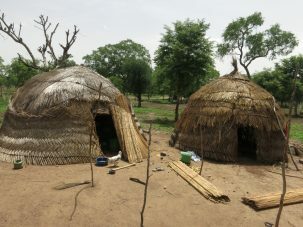 “The goal of this study is to foster a better understanding of indigenous knowledge within the scientific community, in order to kick off a dialogue between both communities.” Ultimately, the aims are to improve climate science as it pertains to the Sahel, and help scientists provide herders with the kind of climate information they will actually use. Ideally, says Ilboudo-Nébié, indigenous indicators of seasonal changes would be recognized by climate scientists and integrated into climate science models for the region. Today, climate scientists and early warning systems in the Sahel tend to provide information to local communities that mostly addresses the needs of farmers. For instance, the government or other institutional sources might provide information about when the rainy season will start and how much it will rain, says Ilboudo-Nébié. But information about rainfall quantity is less relevant to herders. To plan migration routes, herders need to know about the frequency of the rains and how this will affect the growth of pasture with sufficient lead time to make adequate preparations. They also need to receive the information in Fulfulde, rather than French, as is currently the case with climate information. 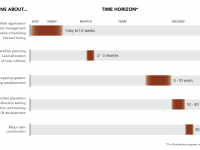 The Fulani herders draw on a vast number of signals from the environment to detect changes in the seasons and determine when it’s time to begin migrating or to return to their villages of origin. One key set of signals is the arrival and departure of three kinds of migratory birds. They also watch for blossoms, fruit or leaf shedding on certain local trees. For example, in the dry season, when the ficus tree starts bearing fruit, the herders start sending scouts in different directions to assess the condition of grass and water. They also pay close attention to livestock behavior—when livestock start walking in the direction of home, it’s time to return—and read the stars, the color of the sky, the wind and temperature, the timing and strength of the rains. But the Fulani are increasingly struggling to make good migration decisions based on these indicators; rainfall variability and unpredictability can cause birds to migrate too late or too early, and some plants and wildlife used to predict rainfall quality are disappearing. Fulani migratory routes are also becoming more restricted due to concerns over terror or jihadist attacks in traditional migration routes and destinations, such as the northern areas near the Mali border. Disruption of the seasonal migration process could lead to loss of livestock and food insecurity in pastoral households, with negative consequences for the country’s GDP.